Now Oregon’s fifth largest city with over 100,000 residents, Hillsboro enjoys award-winning urban planning, an affordable cost of living, a strong economic base and one of the state’s most diverse populations. It supports the state’s fourth largest school district, two higher-education campuses, over 1,500 acres of designated green spaces including the Jackson Bottom Wetlands Preserve, and one of Oregon’s largest 4th of July parades as well as other key annual events: the Latino Cultural Festival in April, Celebrate Hillsboro in July, and the Oregon International Air Show in August/September. 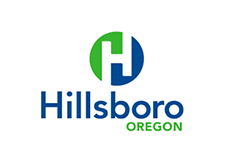 Hillsboro is also home to the Portland metro area’s only professional baseball team—the Hillsboro Hops (Go Hops! ).